Most frugalistas will agree when I say that I love a clean house as much as the next person, I just don’t believe I need to break the bank getting it that way. Household cleaners are a multi-million dollar industry, but we clean and green fruaglistas would rather spare ourselves both the chemicals and the expense. Especially when the expense is not necessary to get great results. Cleaning a house can be divided between wet jobs and dry jobs. Wet jobs are wiping down the whole bathroom, and the whole kitchen, also any floors in any room that are made of tile or linoleum. Dry jobs are dusting, vacuuming, and knocking down spider webs. Then there is the laundry. The first line of defense for wet jobs is water. Don Aslett, author of many books on cleaning and organizing, says that just soaking the area to be cleaned for one half hour before scrubbing will help remove more dirt and cut your time in half. This is just one of the natural properties of water-it dissolves things. If the target area isn’t germy, just dirty, water is all you need. Otherwise, try adding some vinegar. 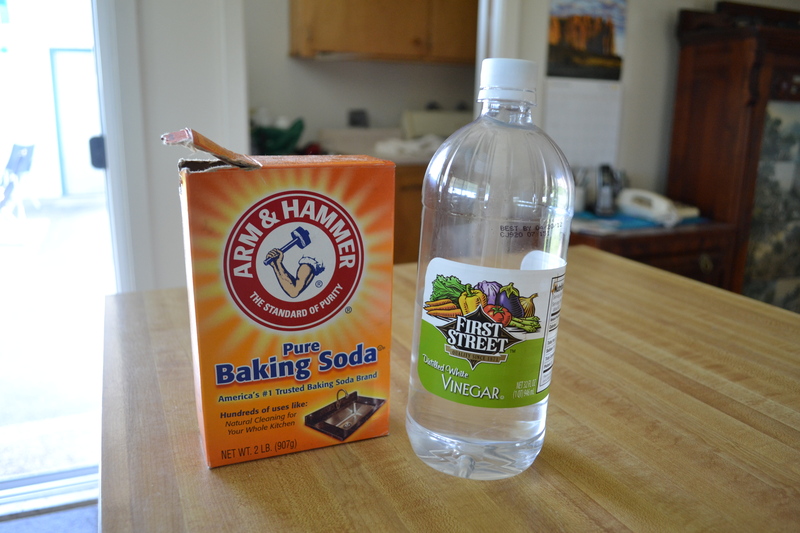 Vinegar is the housecleaner’s best friend. For windows, vinegar water on a damp rag, followed by a dry rag to polish it out works very well. Start at the top and work down. This works on mirrors as well. In the bathroom and kitchen, toilets, sinks, and tubs should be sprinkled with non-stratch Bon Ami and then scrubbed with a sponge, and finally rinsed and then wiped with a dry rag. Floors can be cleaned with a mixture of two cups water to two ounces of vegetable based soap (such as Dr. Bronner’s) to a few drops of essential oil of your choice if desired. Use it for kitchen and bathroom counters and floors. This all-purpose mixture can also be put into a Swiffer container. A washable pad can be used on a Swiffer instead of the throw-away pad. Remember to rinse thoroughly when using this recipe. Try vacuuming floors before you scrub them. It will go much easier that way. For dusting, all you really need is a damp cloth and a dry cloth. This goes for hardwood floors as well. As for vacuuming, it is best to by a bagless model to begin with. But, if you already have one that needs bags, try searching online for discounts on bags. I would try to list them here, but this sort of thing is a moving target. As for the spider webs, you don’t need any product at all. This only leaves the laundry. Most of the cleaning done in a washing machine comes from the rotation action, not the detergent. Which means you can cut way down on the soap or even leave it out on light loads. Or get a laundry ball if you just don’t trust your machine to do its job. Buy your detergent at the lowest price possible in the biggest size. It really doesn’t go bad. This is one of the places where I spend the slightly higher amount for the natural product, because I use so little and the effect on the natural world is so profound. I also don’t use any bleach, because it is absolutely awful for humans and the environment. I know my laundry is clean, and I don’t need whiter whites to prove it. But, if you feel differently, chlorine is cheap. Then, hang your clothes out if the weather allows for a fresh clean smell. So, for equipment you need a Webber, rags, sponges, a spray bottle, either a mop and bucket or a Swiffer, a laundry ball, and a vacuum cleaner. For supplies, vinegar, Bon Ami, vegetable based soap, essential oil, detergent and chlorine. And that’s all. http://www.amazon.com/There-Life-After-Housework-Revolutionary/dp/1593375069/ref=sr_1_1?s=gateway&ie=UTF8&qid=1285890263&sr=8-1While you are there look at his other books too! http://www.stretcher.com/stories/971106a.cfmThis is a discussion of laundry balls, pro and con. I personally think they are unnecessary. http://www.household-management-101.com/index.htmlInfo on all kinds of DYI cleaning.